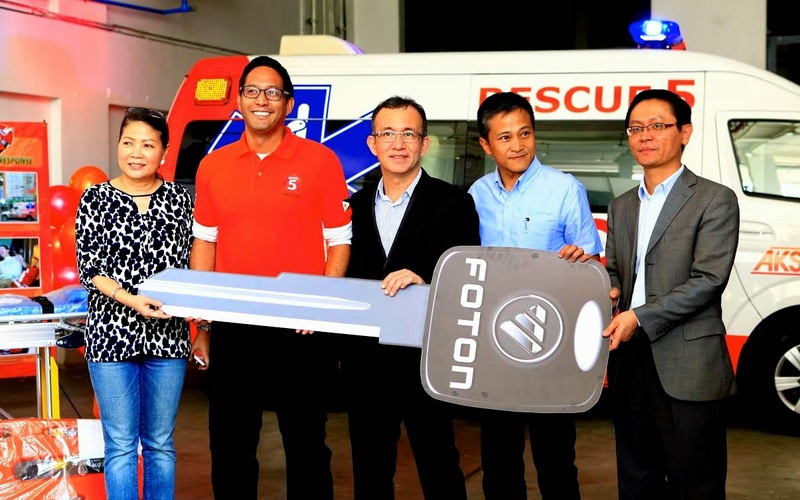 Rescue5, TV5's well-acclaimed and multi-awarded Emergency Response Unit, has furthered its commitment to give assistance and aid to all Filipinos in emergency-related situations through its special partnership with top commercial vehicle brand, Foton Philippines who has generously donated a brand-new fully-equipped and full-frontline ambulance to Rescue5. The fully-equipped and full-frontline ambulance from Foton will ultimately allow the entire Rescue5 team to further its cause and service in giving Filipinos from all walks of life the proper aid and immediate assistance needed in times of emergencies and other related situations. Rescue5 can be reached via its hotline (02) 922-51-55, Twitter account: @RESCUE5PH, and Facebook page: www.facebook.com/RESCUE5PH.